Uganda, officially the Republic of Uganda, is a landlocked country in East Africa. It is bordered to the east by Kenya, to the north by South Sudan, to the west by the Democratic Republic of the Congo, to the south-west by Rwanda, and to the south by Tanzania. With a total surface area of 241,038 sq. kilometres and an estimated population of 30 million people, Uganda shares Lake Victoria, the second largest freshwater lake in the world, with Kenya and Tanzania . Most of the country is fertile and well-watered, with many natural lakes and rivers. Uganda is in the African Great Lakes region. Lying within the Nile basin, Uganda has a varied equatorial climate with one to two thousand millimeters of rain falling annually in two rainy seasons. Roughly 7% of the country, however, is classified as arid or semi-arid. The country is located on the East African Plateau, lying primarily between the latitudes 4°N and 2°S, and longitudes 29° and 35°E. The country lies at an average of about 1,100 metres above sea level, sloping very steadily downwards to the Sudanese Plain to the north. 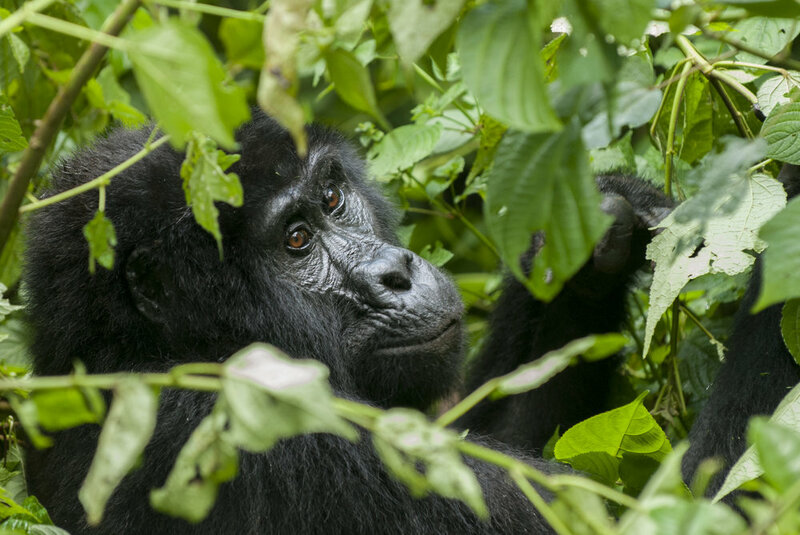 Uganda has a large diversity of terrestrial and aquatic habitats including high altitude montane forest, rivers and lakes, woodlands, grasslands, bush lands, and agricultural areas. These areas are rich in biodiversity; Uganda ranks among the top ten most biodiverse countries globally. In terms of safeguarding this natural capital, Uganda has 60 protected areas, including ten national parks. And economic valuation of the Murchison Falls Conservation Area and the Budongo Central Reserve found the economic value of their ecosystem services to be substantial, including soil erosion control (USD$52.8 million), carbon sequestration (USD$1.5 million), watershed protection and catchment services (USD$10.6 million), and aesthetic services (USD$56.92 million), among other services. It is clear that these protected areas are important for tourism income; the number of tourist arrivals increased 34% from 2010 to 2011, with the number of tourists visiting protected areas increasing by 9.4% during the same time period. The main environmental issues in Uganda include land degradation; habitat degradation and threats to biodiversity; water availability and pollution. Uganda's GDP in 2016 was estimated at 83.39 billion USD, with a per capita GDP of $2,300. The average growth rate in 2016 was 2.3%. Uganda’s economy is predominantly agrarian and as a result one third of the land area is under cultivation. Uganda has been considered an associate member of the GDSA since 2015, when a Focal Point was appointed following an official visit by the Secretariat to Uganda. In 2017, the GDSA member countries welcomed Uganda's expression of interest in becoming a full signatory member in the Maun Ministers' Statement.